The docent stands in front of the dark room, his voice quivering with excitement. A group of visitors sit in rapt attention, eyes wide with anticipation. Suddenly, 4.5 million volts of energy light up the room as a lightning bolt snakes its way toward the MegaZapper cage, whose frightened inhabitant shrieks with pleasure. SPARK Museum is not merely a place to visit. It’s an experience. It’s a place where magic becomes reality, five days per week, as the museum’s docents drop jaws with demonstrations of the MegaZapper or prod minds with knowledgeable demonstrations of electrical history. 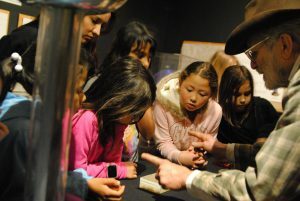 Every nook and cranny of SPARK Museum is packed with things to study, touch and puzzle over. Pulling all of those things together — making historical sense of things like the music box, Edison cylinder phonograph and player piano — are the museum’s wonderful docents, who transform museum visits into unforgettable tours. Teryk Prince-Hughes, 18, has been volunteering at the museum for almost five years. A highlight of his day is helping make SPARK an interactive experience for visitors. 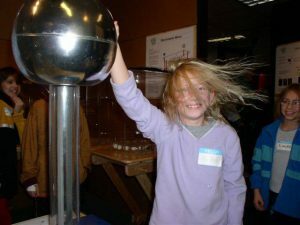 Book a group tour or field trip today to get a demonstration of the Van de Graaff generator, which makes your hair stand on end. 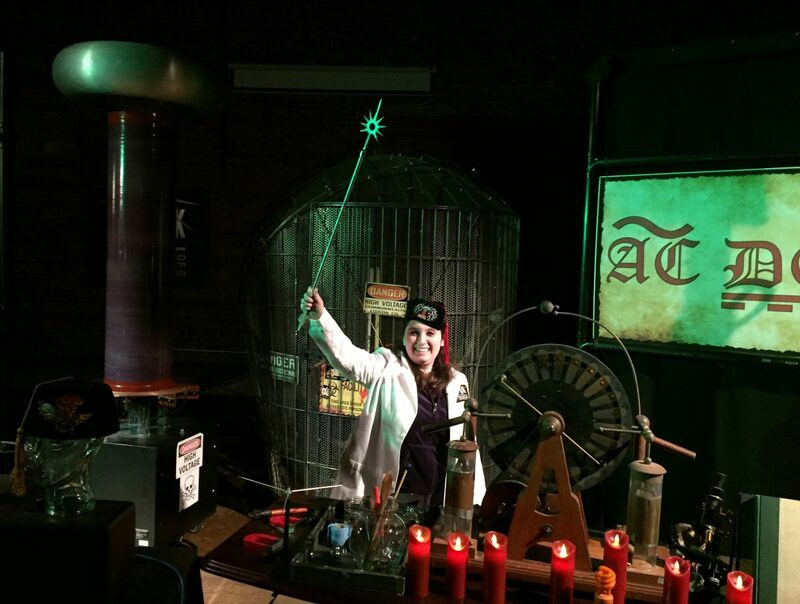 Let one of SPARK’s docents show you and your group how a Tesla coil can broadcast energy across a room without wires. The Seattle Times considers SPARK to be part of the quintessential Bellingham experience. Book a tour with one of our docents and find out why.